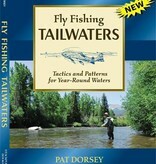 Fly Fishing Tailwaters provide extraordinary year round fishing, but you have to know how to fish them. Tailwater expert angler and guide Pat Dorsey provides the tips and tactics you need to succeed in these challenging waters. The author explains how Tailwaters work— how cold waters released from a dam affect the water, the aquatic insects, and the fish that eat them. He describes the hatches, season by season, and provides 60 fly patterns for some of the best imitation flies to use in every season and every circumstance. His detailed tips on how to “read the river” and how to “read the fish” are straight from his years of experience guiding and fishing some of the most fascinating water in the country. This book has it all. Chapters on nymphing, dry-fly, and streamer tactics provide a wealth of information for fishing a tailwater. Thorough explanations of surface and subsurface tactics, clearly illustrated by artist Dave Hall, help anglers understand how to catch these finicky trout. 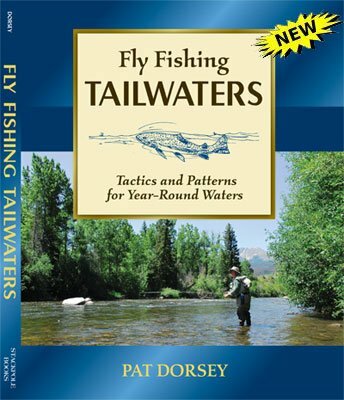 Packed with information on the ecology of tailwaters, including the behavior of midges, mayflies, caddisflies, stoneflies and anything else that a trout might eat, every tailwater angler will find this book valuable. First edition signed copies are sure to become collectors items, just like Pat's first book, "A Flyfishers Guide to the South Platte River"